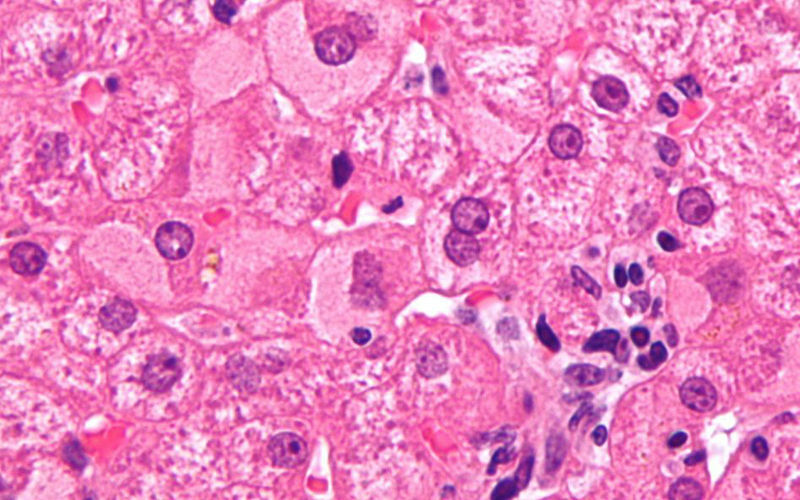 Hepatitis B continues to kill an estimated 780,000 people worldwide each year, so efforts to develop new therapeutic approaches of this major killer are rapidly intensifying. B cells are a type of white blood cell that play a key role in the immune system, including in combating the Hepatitis B virus. People with chronic Hepatitis B still have immune cells that are specialised to target the infection but they are defective and unable to produce antibodies, which suggests that reviving those immune cells with novel immunotherapy techniques may be a promising solution to treating the viral infection. A recent study led by Alice Burton and Professor Mala Maini alongside colleagues at UCL, Roche and Queen Mary University of London made the surprising finding that Hepatitis B-specific B cells are just as widespread in people infected with Hepatitis B as in vaccinated controls, but in those with chronic Hepatitis B the B cells had defective production of antibodies and other antiviral mediators. Blood and liver samples from 84 people with chronic Hepatitis B were tested and compared to healthy controls who had been vaccinated to prevent Hepatitis B infection. The finding that B cells of the correct specificity persist even after years of chronic infection raises the possibility of rescuing their capacity to produce the antibodies required for functional cure. This study starts to identify relevant immunotherapeutic targets that are being further tested in ongoing studies.